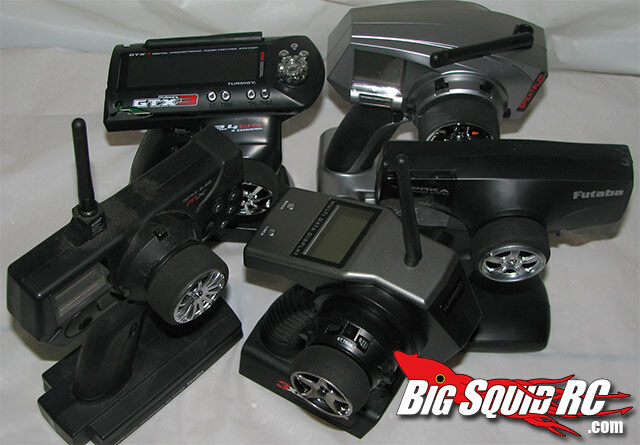 2.4GHz Transmitter Shootout Two « Big Squid RC – RC Car and Truck News, Reviews, Videos, and More! Our readers asked for it, and we finally finished it! Our second 2.4GHz Transmitter Shootout is ready for your viewing pleasure! We’d like to thank the following companies for the radios that participated this time around. These are links directly to the products we tested. We appreciate all their support very much. If there is anything we didn’t cover in the shootout that you are curious about, or if you just need some more details, head on over to their sites via the links below. These are the radios that took part in our second shootout. If you are in the market for a new radio, and don’t have the time or access to a bunch of different radios to try, we hope that this article will help you make a decision. You can basically treat this as a short and to the point review of each radio. Now head on over to the Transmitter Shootout 2 and get started!